the natural organic program is universal. Jeff Lowenfels is in Anchorage, Alaska. He is the oldest garden writer in the country. Not that old really – just been writing a newspaper column longer than anyone. 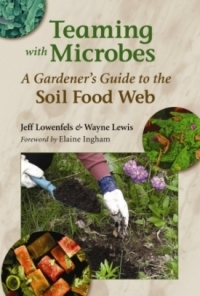 Teaming With Microbes: A Gardener's Guide to the Soil Food Web, by Jeff Lowenfels and Wayne Lewis, is a very thorough tour of life in the soil. It has terrific photos of the various critters in the soil and explains the natural organic approach in a fresh and unapologetic way. The book, published by Timber Press, covers true soil-science dramatized by powerful electron microscope photography. It also explains how synthetic chemical fertilizers are equivalent to carpet bombing the soil since the salts they contain are indiscriminate killers. I love it when people agree with me! 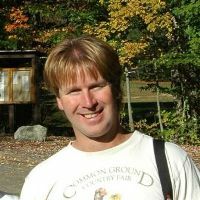 Jeff says it well – “Chemical fertilizer negatively impacts the soil food web.” He also understands that the organic method is simple – stop using toxic chemical fertilizers and toxic pesticides and start using compost, compost tea and natural mulch. Thanks Jeff – you too Wayne, hope to meet you soon. Looking forward to that Alaska trip. Paul Tukey is in Maine. 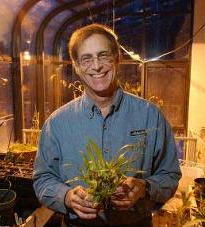 He is the founding editor and publisher of People, Places & Plants magazine which is popular in the Northeast. He also does regular radio and TV work. 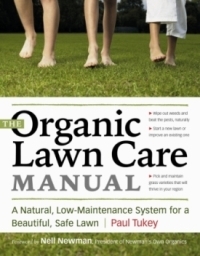 The Organic Lawn Care Manual is an excellent and extensive guide to natural lawn care. Paul is also completely organic and teaches that lawns should be as safe and friendly to earth's environment as they are to the kids and pets that roughhouse on them. His passionate instruction is right on and in sync with the Dirt Doctor’s recommendations. Paul understands that oxygen, carbon and hydrogen (not N-P-K) are the true macronutrients. He also concentrates on the basics – compost, compost tea and mulch. He has one tip that I am embarrassed to admit I didn’t think of myself. When planting solid sod, soak the top and bottom of the sod pieces before putting in place. I’ve recommended soaking root balls of trees, shrubs, vines, ground covers and flowers before planting for years – why not grass sod as well. I will from now on. travel section of www.DirtDoctor.com. See the connections at the bottom of the home page. I love that such geographically diverse people like these two are doing such great jobs at organic education. Converting the world to organics may not be that far away after all. Look for more Dirt Doctor Organic News in your email and on the home page of DirtDoctor.com. To receive other great natural organic advice and information like interactive Organic Forums, videos and the monthly DIRT newsletter, you can Join the Ground Crew. and put Unsubscribe in the Subject line.